Gyms are the worst right after the New Year’s! They are packed with people and leave you either waiting in line for the cardio equipment or with no floor space to move and no weights to use. Also, many people quit going by the month of February either because it doesn’t fit into their schedule or the cost of a year-long gym membership does not fit into their financial plans. 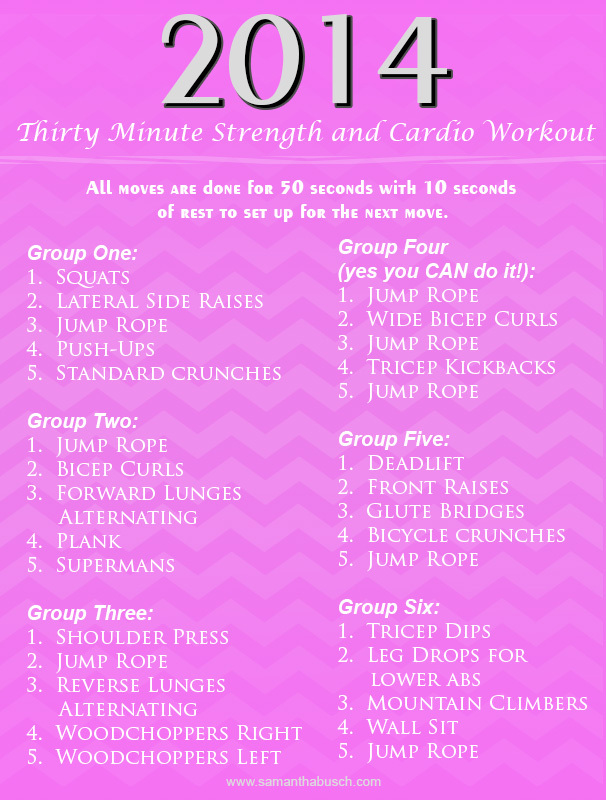 Here is a workout that will cost you only ____. All you need is a pair of free weights and a jump rope. So push that coffee table out of the way, crank up the tunes, and get to it. 2014 is YOUR year!! All moves are done for 50 seconds (as many reps of each as you can) with 10 seconds of rest to set up for the next move.